Mango slices – cut the cheeks from one mango then use an acrylic glass to scoop the flesh from the skin. Slice into thin strips. Puree – slice and pit one mango and cut into pieces. Place mango, sugar and lemon juice in a food processor and puree until smooth. Cover and chill in fridge. 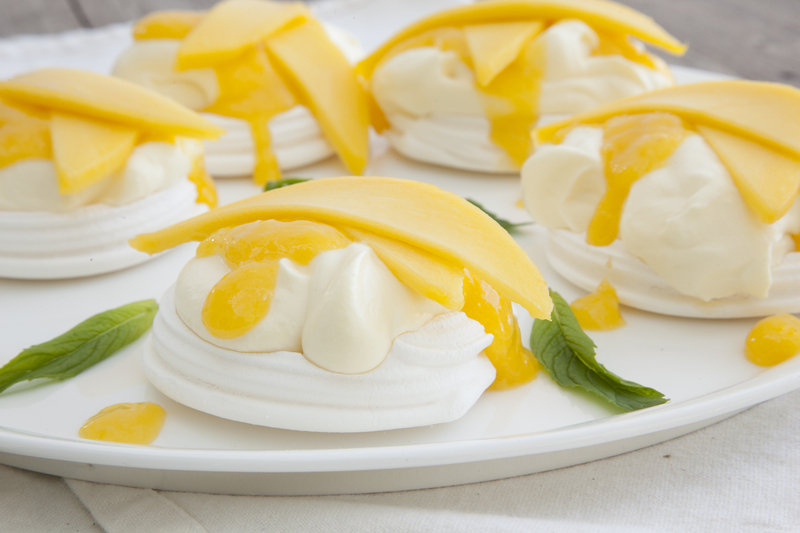 To serve, place pavlova nests on a platter, top with whipped cream, puree and mango slices. Scatter fresh mint leaves over the platter.